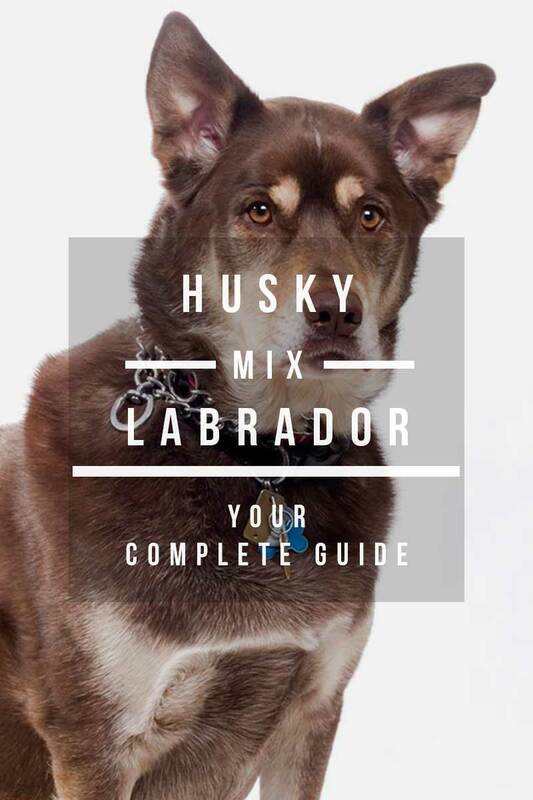 Welcome To Our Complete Guide To The Husky Lab Mix. Find Out Whether This Amazing Cross Breed Would Be The Perfect New Pet For Your Family. The Husky Lab mix is a dog of many names. But whether you want to call him a Labsky, a Siberian Retriever or even a Huskador – he’s one brilliant pup. This relatively new mixed breed dog includes one parent who is a Siberian Husky and one parent who is a Labrador Retriever. And of course, the resulting Husky Lab puppies are very, very cute. But are they the right dog for you and your family? Let’s make sure you know everything you will to about their care, nutrition, exercise and training needs. To find out whether a Husky Lab mix could be the perfect pet. Mix-breed Labrador Husky puppies always have one parent who is a Labrador Retriever and one parent who is a Siberian Husky. It doesn’t matter whether it is the mom or the dad who is from one breed or the other. What is important here is that each parent is a purebred dog of one of those breeds. To better understand the origins of Lab x Husky mix puppies, let’s take a brief look at the history and characteristics of each parent breed. The Labrador Retriever dog breed originates from Newfoundland, not nearby Labrador, as the dog’s name might suggest. Originally, Newfoundland was a British colony. Which explains the Lab’s English origins even though today Newfoundland is a part of Canada. [wp_ad_camp_2]Labs are working dogs, born with a job to do. As you might guess, that job typically involves the second word in their breed name – retrieving! Bred to work closely with hunters to flush out and collect downed prey. These loyal “people dogs” can make for fun loving, affectionate and playful pets. They also tend to be very good with young children and families. To learn more about the origins of this highly popular dog breed, we invite you to review this informative post. It likely won’t surprise you to learn that the breed known today as the Siberian Husky originated in Siberia, Russia. Huskies are working dogs. Traditionally, a Husky’s job has been to pull a sled for transportation. And to help out with hunting and gathering food, firewood, supplies and other necessities. Bred specifically to cohabitate and collaborate with people. They are typically great with children and adults alike and make for wonderful, loyal pets and guard dogs. To learn more about this ancient and respected dog breed, we invite you to review this informative post. In some ways, choosing a designer dog is always a bit of a gamble, since you can never know for sure which parent traits from each breed a particular puppy may inherit. But since each parent breed shares certain traits in common, you can be reasonably certain your Lab x Husky dog will be energetic, affable, affectionate, hardworking, smart, eminently trainable, a great swimmer, loyal to and highly protective of your family. As a young puppy, your Labrador Retriever Husky mix may not appear too dissimilar from his littermates. After all, what newborn puppy isn’t all soft downy fur, pudgy baby fat and adorable gangly legs? But as he grows up, each day will bring new surprises as time reveals which breed-specific traits he has inherited from his Labrador Retriever and Siberian Husky parents, respectively. For example, your Husky Lab mix full grown may weigh anywhere from 40 to 60 pounds. He may have more Lab or more Husky facial and body features. His coat may be more brown, black, yellow, red, white or some combination thereof, and his hair may be short or medium-long. He may have brown eyes or blue eyes, or even one eye of each color! Lab Husky mix temperament is where you will find the most uncertainty, since any one puppy can range more towards the temperament of one parent breed or the other. Here are five examples of parent temperament spectrums and the range of possible Labrador and Husky mix temperaments that are possible in any Lab Husky mix puppy. Your puppy may exhibit a calmer Labrador temperament or a more high-strung Husky temperament. [wp_ad_camp_4]They may bark only as needed (a Labrador trait) or at anything and everything (a Husky trait). 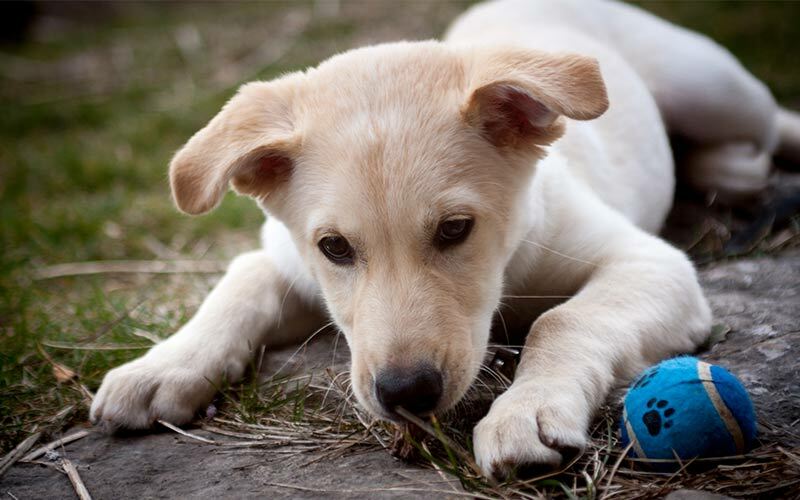 Your puppy may be a quick, eager learner during training, just like his Labrador parent. Or he may be more stubborn or inconsistent in training efforts, like his Siberian Husky parent. Your puppy may seem unable to control the need to dig, as most Huskies seem born to do. Or equally helpless in the face of any opportunity to chew, a trait that Labs are known for. Or they could have none of the above, and be very much their own person. 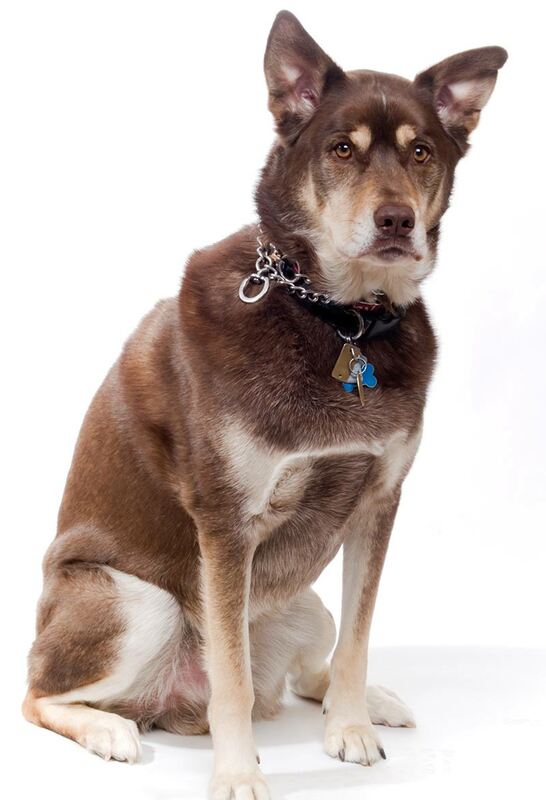 The Husky Lab mix comes from two active, energetic, “working dog” breed parents. Boredom can be a real problem for these dogs, who are literally bred to stay active all day, every day. Often performing very physically demanding jobs many people couldn’t do! So you can pretty much count on the need to keep your Siberian Husky Lab mix dog active and busy. Or she may develop her own itinerary of fun activities to pursue. Lab Husky mix dogs also have webbed paws and a natural love of water. Swimming is a great activity for them, as is any game of fetch that involves retrieving a bobbing toy from the water. They also love to run and will eagerly enjoy long runs off-leash if your situation permits. As you can see, this simply isn’t a suitable pet dog choice for a sedentary owner. Huskadors don’t just love to exercise – they need daily vigorous activity to stay healthy in body and mind as well as to stay out of trouble. For decades, dog training was all about establishing the “alpha” pack leader. Leading trainers taught that there were only two choices: either your dog was the alpha, or you were the alpha. However, today we know differently and better. For a dog, there is no such thing as alpha, or dominance, or pack leader, or even anything similar to any of these concepts. In fact, there isn’t any such thing for their distant wild relatives, wolves, either. Wolves live in family clans where clashes are rare and usually occur only when vital resources such as food or mates become scarce. So as long as you provide your dog with his daily required resources, your interspecies family life is likely to go quite smoothly overall. Now, this is not to say that some dogs don’t inherently possess a stubborn, aggressive, fearful or combative nature. In fact, the Siberian Husky purebred breed is known to exhibit some of these traits far more frequently than the Labrador Retriever purebred breed. This can make training more challenging and time-consuming if your Husky Lab mix puppy tends more towards the Husky side of his parentage. 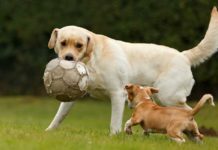 [wp_ad_camp_1]But whether such behavioral traits show up in your puppy or not, these behaviors are never about winning dominance over you or becoming the pack leader. These traits are either inbuilt breed-specific characteristics or fear-based responses to perceived scarcity of needed resources. In either case, Lab cross Husky mix training can alleviate these types of behavioral training in positive ways that will never require you to resort to old-fashioned, outdated and ineffective dominance-based tactics. 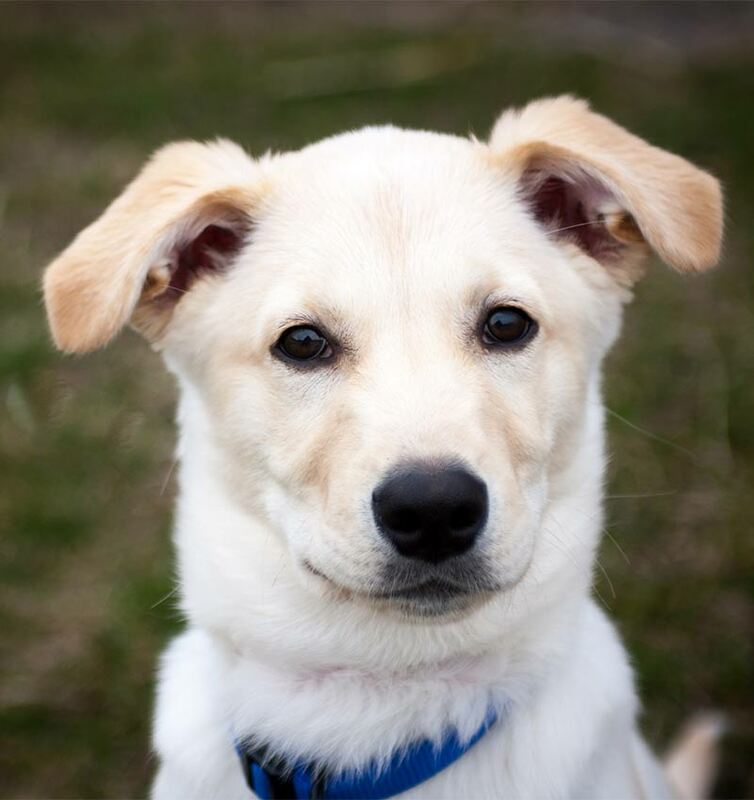 Ultimately, your Husky Lab mix puppy is dependent on you for every need that he has, and understanding this can eliminate your concern over alpha-type struggles. To learn more about how dominance theory in dog training was debunked and replaced with positive and affirming dog training methods that really do work, we invite you to review this informative post. It’s important to fully socialize your puppy. From the day you bring him or her home, have plenty of visitors to the home and take them to a number of different locations. Try to get your pup to meet as many different people, vehicles and animals as possible. If there is one fact nearly all Lab Husky mix dog owners agree on, it is this: the Labsky dog tends to shed. A lot. The reason for this is simple: the Siberian Husky grows a double-thick coat as protection against the freezing Siberian climate. This means that even a Lab Husky mix who inherits more Lab traits will still shed more than your average Labrador, although likely less than your average Husky. Now, if your Lab Husky mix inherits more Husky traits, you can look forward to a jaw-dropping level of shedding at least twice a year as your pup sheds his thick undercoat and prepares to regrow it. Regardless of which end of the spectrum your pooch tends towards, the best way to control Lab Husky mix shedding is to brush your dog regularly. You can use a tool called an undercoat rake to make the shedding process much more comfortable for your dog and more manageable for you. Taking time once or twice per week to groom your dog will give you some control over when and where the hairs fall out and will also give you some regular enjoyable bonding time with your pup. Because any Lab and Husky mix puppy may inherit known health issues from either the Labrador or the Husky gene pool, it is critical to conduct health testing when selecting a designer dog puppy. This is the only way to know if breed-specific congenital health issues may be present. Food allergies and/or seasonal pollen allergies. Arthritis, a common issue for older dogs that overweight Huskies are particularly prone to develop. From these lists, you can get a good sense of the potential genetic issues any Lab Husky mix puppy may inherit, as well as other health issues, such as a natural love of food that can easily lead to obesity. Make sure that as a minimum the Lab parent has good hip and elbow scores, a clear eye test and is clear for PRA. As a minimum the Husky parent should have a clear eye test. For general purposes, the Labrador Retriever has a life expectancy of 10 to 12 years. The Siberian Husky, in turn, has an average lifespan of 11 to 13 years. These statistics would indicate a Lab and Husky mix might live anywhere from 10 to 13 years, which is generally considered an accurate lifespan range for these designer dogs. There is so much to consider when choosing “your” puppy from out of a whole litter of Husky Lab mix puppies! From genetic health testing to temperament assessment to gender and appearance, your personal list of the most important criteria will be unique to your family, your lifestyle and your preferences. Having said that, here are some selection considerations to keep in mind. If you live in a more tropical climate that stays warm to hot year-round, a shorter haired pup can be a more compassionate choice. Litters bred by show breeders may knowingly or unknowingly select for appearance characteristics over good health, strength and/or temperament so use caution here. Wherever possible, seek out a breeder that breeds for working dog traits, as this focus has the potential to produce the healthiest pups overall. Observe and, if possible, interact at length with both parent dogs to experience their personality and temperament – avoid any breeder that will not permit you to meet the parents of the litter you are considering. Place priority on outgoing, curious and friendly pups that approach you of their own accord and show no fear. Examine the puppy’s eyes, ears, mouth, tongue, paws, skin, tail and underside to make sure all areas look clean and healthy. Ask for the name of the breeder’s veterinarian and also for referrals to past happy customers and give them each a call to inquire about the operation. Also ask to see a health history of the parents and past litters as well as any information about genetic testing for congenital health issues. Take a tour of the breeder’s premises to ensure it is clean, secure and professional in every way. Do your own research into the breeder’s organization on the internet and by inquiring with your vet and elsewhere as makes sense. Verify that the puppies have received all recommended vaccinations for their age and breed and that they are certified as free from parasites like tapeworms and roundworms. Ask about the food the parents and puppies have been fed and why that food was chosen (food quality can greatly influence the health of a litter of puppies). Be aware of the market rate price for Lab Husky mix puppies in your area and steer clear of “bargain” pups or too-high priced litters. Go with your gut instinct: if you have any doubts, walk away and seek a Lab Husky mix puppy elsewhere. As with any dog, designer, purebred or mutt, there are two main ways to choose your canine sidekick. You can purchase a pup from a breeder or you can adopt a pup from a rescue organization or animal shelter. Each has its own pros and cons. In the case of a Husky Lab mix puppy, whether or not you consider adoption may depend on how determined you are to get an authentic Husky Lab mix. Because the appearance of this designer dog can vary greatly depending on which parent the puppy takes after. Often the only way to determine the true breed lineage is to pay for genetic testing. Of course, this is often an option with rescue operations today. Some organizations will even volunteer to pay for this testing if it supports placing a puppy or adult dog with a loving new “forever home” and family. When you purchase your puppy from a breeder, that breeder should be able to provide you with registration papers verifying the purebred parentage of your puppy. If these papers are not available, the only way to know if your puppy is truly a Husky Lab mix is to do genetic testing. The price range for a Husky Lab mix puppy can span anywhere from $300 to $800 depending on the breeder, parental lineage, gender, birth order, coat and eye coloration, overall appearance and other prized characteristics. As well, what you will pay can vary based on availability. Be sure to find out what the total price includes, such as papers, proof of vaccinations and good health guarantee for at least 6 to 12 months. If any of these are not provided along with the price, it is usually best to walk away and look for a puppy elsewhere. Is a Husky x Labrador right for me? This is a great question – and it is also one that only you can answer! You will need to have lots of time to dedicate to training and exercising your dog. This is not an ideal breed mix for full time workers. Nor is it for people who are away from home to places that aren’t dog friendly. Do you have the time, interest, energy, budget and lifestyle to provide one of these unique dogs with the care they require to thrive? Then what are you waiting for? Best of luck finding your new Husky Lab mix friend! Den Herder, J.S., DVM, et al, “Your Labrador Retriever,” Den Herder Veterinary Hospital, 2010. Den Herder, J.S., DVM, et al, “Your Siberian Husky,” Den Herder Veterinary Hospital, 2010. Hines, R., DVM, “Choosing the Right Dog for You and Your Family – A Veterinarian’s Perspective,” 2nd Chance, 2017. Farrell, L.L., et al, “The challenges of pedigree dog health: approaches to combating inherited disease,” Canine Genetics and Epidemiology, 2015. Does anyone know any reputable breeders for lab husky mixes??? Did adopt a lab/husky/shepperd, she is almost 5 years of age. Lovely and very active female. How much time I should spent time with her outside? I give her 1 hour in the morning running in the woods and play time. Than 1hour in the afternoon same and take her at night for a walk for 1/2 hour….I find myself so tired from all the walk and play time…does she need that much time out or can I make her time little bit shorter, thank you ? I only had small dogs like cairn terrier and the didn’t need that much time to be out. Please give me some advice, thank you ? I have a lab husky mix I rescued from a shelter 4 years ago when he was 1. Scooby was definitely a uphill battle at one year old never being trained and being in shelters for his whole life until I adopted him. He does not like other animals at all but loves other people. He is a snuggle bug as well, sleeping on top of me while I write this. All black with beautiful brown eyes, white fur under his paws and small tufs here and there around his body, and a little brown around his neck. He does shed like crazy, let’s you know vocally when he wants something, and has a huge husky personality. I definitely would not recommend getting one from a shelter though. He was not socialized well so he does not get along with most other animals. He sits well now but needs to be pointed to the ground to lay. He is 5 now and can sit and stay while Im slowly walking away and will shake when he wants to. All together I love my first dog ever but it has been a struggle. I can see how they would be an amazing breed if you have time and get them young. But being a smart and posibly stubborn breed, be prepared for a very stressful and rewarding relationship with your new best friend. We have a 11 year old labsky, which we got from the SPCA at 8 weeks old. Was told mother was a yellow lab and dad was a fence jumping husky. I have always told people he was a labsky and never knew this was a actual designer breed dog. Lol. He takes after the husky in body type, curly tail and attitude. He is however one of the best dogs I have ever lived with. He is more interested in pleasing himself then us most of the time. He still acts like a pup and is very active, also one of the smartest dogs I have ever known. Love him to death and hope he lives a long, long time. Wish I could show you a photo as he is a beautiful dog with golden fur and bicolored eyes. My dogs ears were too when I got her from the shelter about 3 weeks ago at 2 months. She is 3 months now and they stand up. My 15 year old Lab husky mix just died. What an incredible pal he has been these last 15 years. I am single and live alone and work 12 hour shifts as a nurse. My dog never ever chewed anything and was seldom incontinent in the house. He had a fenced in back yard and a doggie door which helped to give him something to do while I was at work. I also made sure we got out at least twice a week for off the leash runs/hikes in the park. We also belonged to a doggie day care center and went about 1-2x a week. This dog probably would not have been so well behaved if he had not had this chance to run and play. The yellow dog looks just like my puppy. We got her from a shelter, and she was listed as a lab mix, so we have been trying to decide what she is mixed with, and she just may be a lab/husky. She loves to chew on everything and seems really sad when there’s not a lot going on. She has been very loyal to me and protective since the day we got her. She rarely barks and only for a reason, but we are having a hard time house training her. I guess only time will tell. Have her DNA tested. It will tell you the percentage of breeds and what diseases if any she may be predisposed to in the coming years. I disagree with the statement that a full time worker shouldn’t have this breed of dog. My husband and I both work full time outside of the home and our son is in high school. Our Chocolate Lab/Husky mix does wonderful in the house during the day. He is very excited when we get home and he has to be taken for a walk almost immediately, but with the right exercise schedule and toys to play with throughout the day, I think full time workers can have this breed and it thrive with them. i had one his name was bear super dog. sweet to most dogs but did protect the house just lost him last week he was 13 years old and his ears were floppy. the best dog i ever had very smart. he loved my wife but if igot up at nite he got up with me. when i would take a shower he was at the door when icame out and when i came home from work he was at the window he know what time i got home from work. we would go for 2 mile walks.tell it got in the 90s to hot for him. I recently got a Husky /Lab mix.. He is 7 1/2 weeks and I’m wondering if his will stand up… They are floppy ATM. Where did you find the breeder for your puppy? I am located in Southern California.. looking to find a Labrador husky mix!